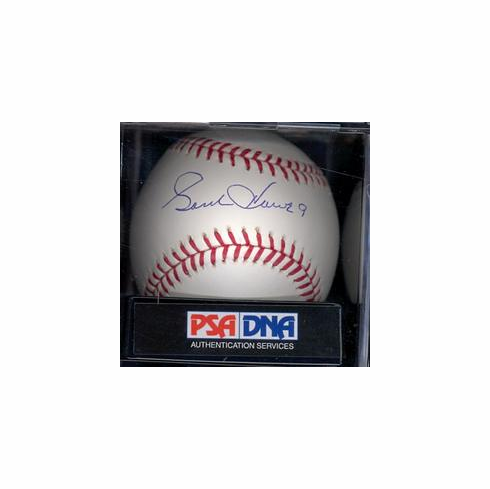 NHL HALL OF FAMER GORDIE HOWE HAND AUTOGRAPHED BASEBALL! Official Major League Baseball signed on the sweet spot by Gordie Howe! PSA DNA #I08867 COA and sticker on baseball. The autograph on this ball was graded a 10 and the overall grade is MINT 9.5!